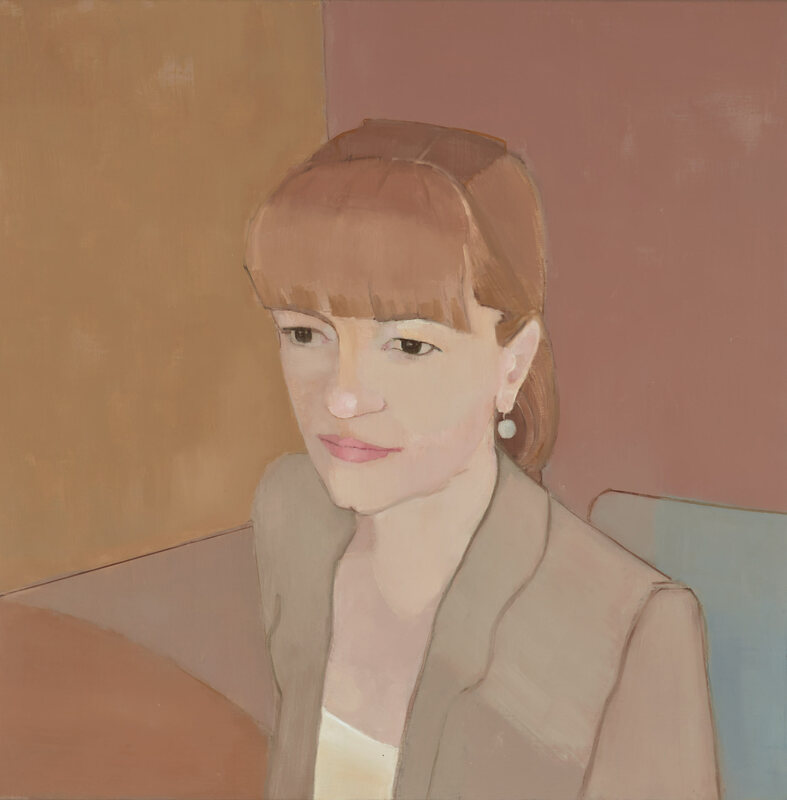 Sinead Davies’ subject is Toni Zeltzer, the Mayor of Woollahra. The portrait began with an invitation to contribute to a local exhibition. It was suggested that Davies might consider painting the Mayor of Woollahra. ‘The next day I spoke with the Mayor and she agreed to my request. A first sitting was organised at her chambers, with a follow-up in my studio,’ says Davies. ‘Toni’s Greek heritage influenced my approach. I researched traditional Greek female portraits and sculptures, including funeral portraits, which I found to be powerful, beautiful works. The colour palette is born of my memory of the Greek landscape and the warmth of the Greek people. As an art student, I spent several summers in Greece drawing and painting. Born in Ireland, Davies studied at the Byam Shaw School of Art, London. She moved to Australia in 1983. She has been in the Portia Geach Memorial Award six times, with two portraits exhibited in 2014, and a three-time finalist in the Doug Moran National Portrait Prize. In 2010, she was hung in the Archibald Salon des Refusés, and her portrait of tennis player Ken Rosewall hangs in the National Portrait Gallery.